This is a list of railway lines in Great Britain that are currently in operation, split by country and region. 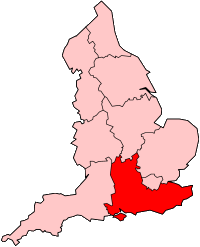 There are a limited number of main inter-regional lines, with all but one entering Greater London. The line from London to the Channel Tunnel is the only line designated 'high speed', although the other main routes also operate limited-stop express services. 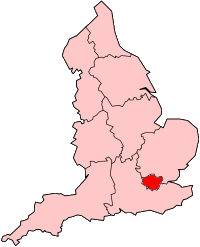 The bulk of the secondary network is concentrated in London and the surrounding East and South East regions; an area marketed by National Rail as London and the South East. The majority of these lines are radial to London. 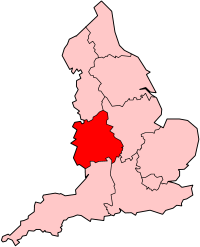 There is a further concentration of routes around Birmingham in the West Midlands and in the urbanised part of northern England that stretches from Liverpool in the west, via Greater Manchester to Leeds in the east. Some areas, such as Wales and Scotland, have relatively sparse railway provision. There are local lines throughout all areas of Great Britain with some services designated as community railways. High Speed 1 London, Channel Tunnel England: East, London, South East. This is a list of routes entirely contained within Greater London. This is a list of all routes that enter the East of England region. This is a list of all routes that enter the South East England region. This is a list of all routes that enter the South West England region. This is a list of all routes that enter the East Midlands region. This is a list of all routes that enter the West Midlands region. This is a list of all routes that enter the North East England region. This is a list of all routes that enter the North West England region. 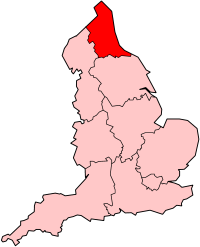 This is a list of all routes that enter the Yorkshire and the Humber region. Note: many maps cited are dead links as of 2016. Current maps are on the National Rail Enquiries - Maps of the UK National Rail Network Web site. ^ a b c "National Rail Timetable Map" (PDF). Association of Train Operating Companies. 2009. Retrieved 26 December 2009. ^ a b c d "London and the South East Rail Services" (PDF). Association of Train Operating Companies. 17 May 2009. Archived from the original (PDF) on 29 September 2007. Retrieved 26 December 2009. 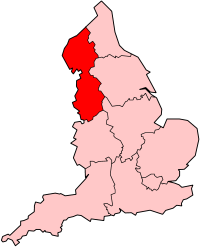 ^ a b "Birmingham West Midlands" (PDF). Association of Train Operating Companies. Retrieved 26 December 2009. ^ a b c "Liverpool Leeds Manchester Sheffield" (PDF). Association of Train Operating Companies. Archived from the original (PDF) on 29 September 2007. Retrieved 26 December 2009. ^ a b c d "London Connections Rail Services" (PDF). Association of Train Operating Companies. 17 May 2009. Archived from the original (PDF) on 29 September 2007. Retrieved 26 December 2009. ^ "Search: Sydenham Line". Network Rail. Retrieved 21 April 2014. 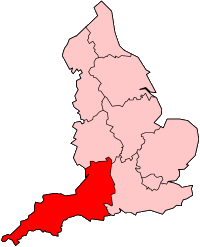 ^ "Cardiff Bristol" (PDF). Association of Train Operating Companies. Retrieved 28 December 2009. ^ "Newcastle" (PDF). Association of Train Operating Companies. Archived from the original (PDF) on 21 December 2008. Retrieved 28 December 2009. ^ "National Rail Enquiries - Maps of the UK National Rail Network". Nationalrail.co.uk. Retrieved 24 February 2016.